1" wide hand hammered heart pendant is imprinted with barefoot HoofPrint. 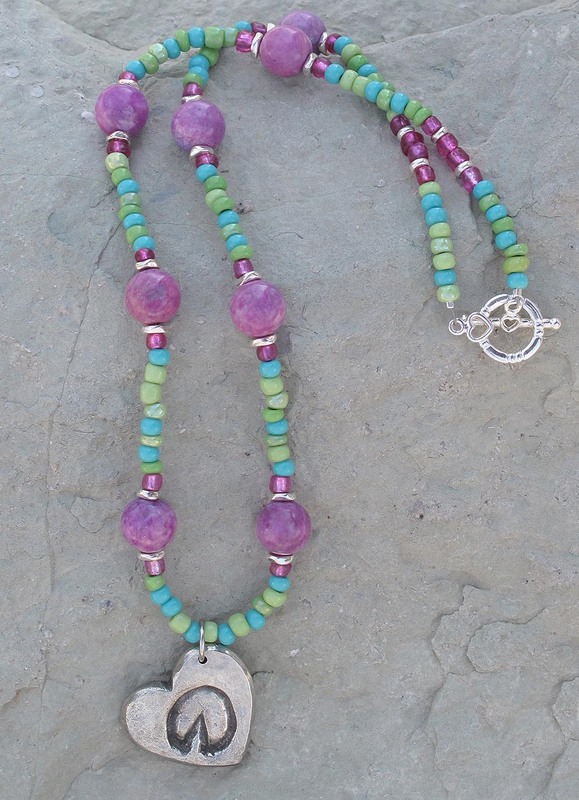 It's strung by hand right here at HoofPrints, using matching gemstones and richly colored glass pony beads. 18" long with toggle clasp.